A ferry arrived five hours late after a fault left the vessel with reduced power and manoeuvrability during its sailing from the Isle of Man. An hour after setting sail at 14:45 BST on Monday for a two hour 45 minute crossing to Liverpool a fault with the Manannan's ride control system emerged. It continued and after issues with docking it arrived at 22:30. The return left after midnight, arriving at 05:00. 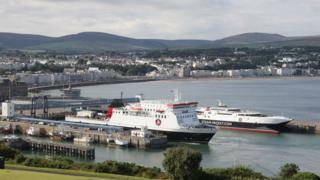 The Isle of Man's Steam Packet Company has "apologised" to passengers. Chief executive Mark Woodward said: "Manannan has no sailings scheduled for the next two days and the failed component will be quickly replaced." The issue with the ride control system meant port authorities in Liverpool insisted the ferry needed a tug to approach the River Mersey channel due to the reduced power.